Get sharp, crisp, professionally printed documents, by stocking up on a twin pack of Brother TN-2030 Black Toner Cartridges for your Brother laser printer. The Brother toner range was designed specifically to work with Brother technology and produce superior image quality without the need for maintenance and costly replacements. 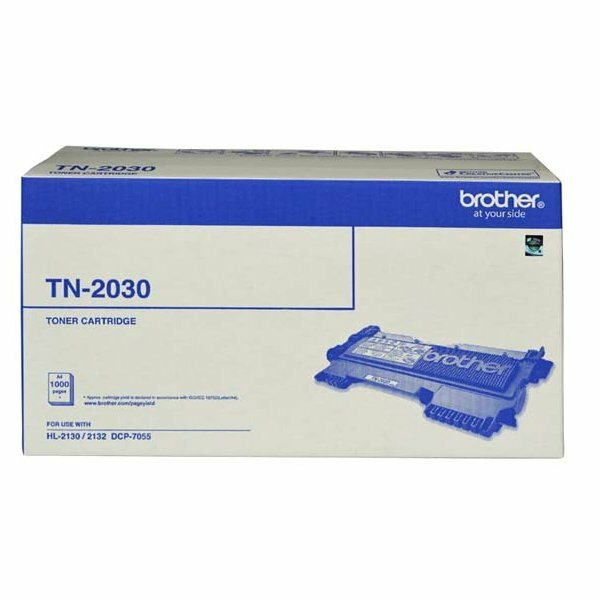 The Brother TN-2030 Black Toner Cartridge is specifically designed to work with the technology in Brother machines and produce superior image results. It has an estimated page yield of 1000 pages. The toner is designed for use with the following Brother machines:DCP 7055; HL-2130, 2135W, 2132.